Gravel road in Palliser Bay from Ngawi. Remutaka (Rimutaka) Ranges beyond. 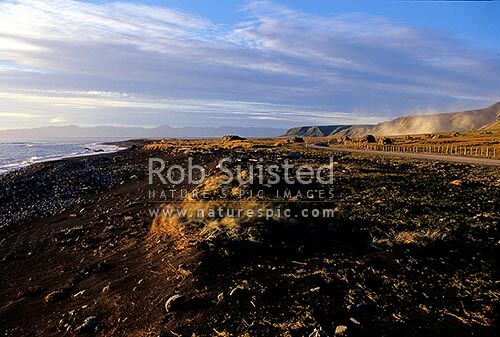 Dust from car on dirt road, Ngawi, South Wairarapa District, Wellington Region, New Zealand (NZ), stock photo.